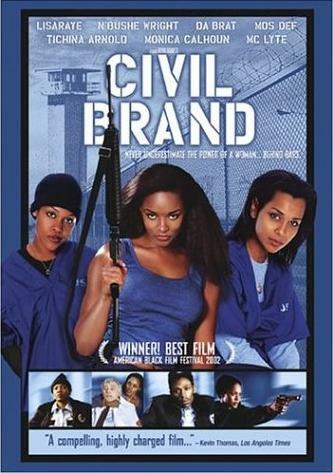 Civil Brand is a mediocre prison film. 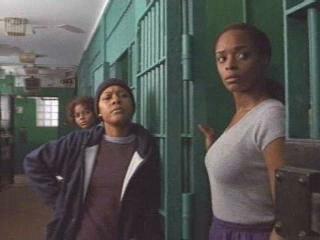 it is trying to class up the much-maligned, so- called "Women in Prison" flick. This isn't like Caged Heat (1974) and Chained Heat (1983). Rather, this is a drama about changing your life for the better. The redeeming parts of this film are: any scene with Warden Alan Deese (Powell) and Mos Def's character. Everything else is very clichéd and has no originality. All the prison stereotypes are in force. Also there are too many jump cuts and editing tricks. The acting for the most part is just a lot of yelling. On the downside, the ending feels a bit tacked-on. On the upside, Lark Voorhies of "Saved By the Bell" fame is in it.